Made by: Automatic Electric Co. 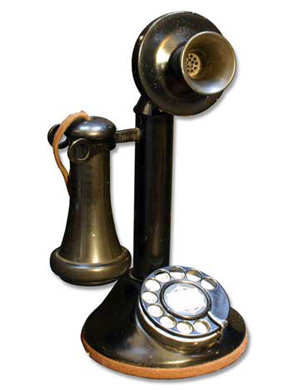 The first AE dial candlestick widely used by indepedent telephone companies (they bought AE gear because they competed with the Bell System, which owned Western Electric). read about Automatic Electric Co.